This summer has been a hot and busy one for the ORW promotions team. 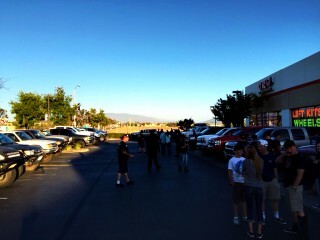 June saw an impromptu hosting of the @igprerunners group at our Temecula store. Over 50 vehicles showed up and while this was mostly just a social gathering, Off Road Warehouse sweetened the event some by providing a raffle with prizes for group’s attendees. On July 15th, we held our customer appreciation BBQ, also at the Temecula location. K4 Switches supplied the food while ORW handled the logistics and entertainment. The following weekend, during the Lake Elsinore Storm versus Rancho Cucamonga Quakes baseball game we hosted the OFF ROAD EXPERIENCE. 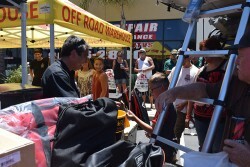 Working in conjunction with the Lake Elsinore Storm, Off Road Warehouse was able to showcase some of our products and vehicles and expose an audience to our unique lifestyle that many might not be familiar with. We also provided special prizes to some lucky attendees both before and during the game. We have a few more events coming up and others that we are working on to attend. 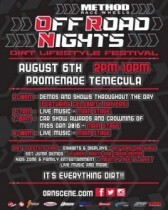 Up next will be the Off Road Nights Dirt Lifestyle Festival at the Temecula Promenade on August 6th. As always, stay up to date on our latest events and promotions by following us on our social media channels.